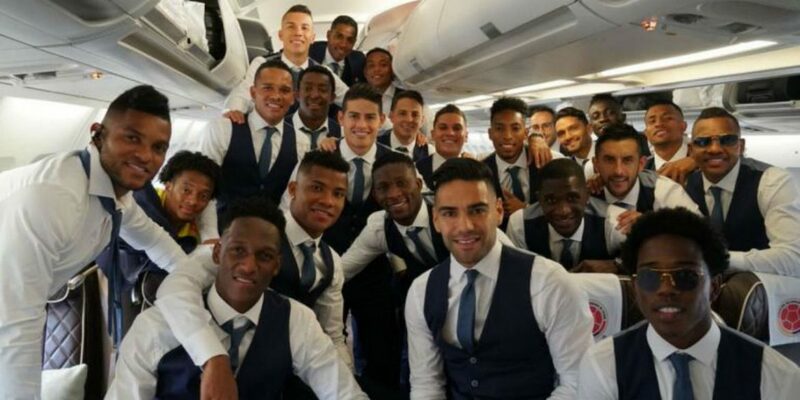 Colombia’s national soccer team arrived on Tuesday in Russia ahead of the 2018 FIFA World Cup, touching down in Kazan where the team will be based for the tournament. The squad of 23 players and the coaching staff made the flight from Italy, having been based there for the last 17 days in preparation for world football’s most prestigious competition. Jose Pekerman’s squad will take advantage of the picturesque mountain ski resort, which boasts swimming pools, tennis courts and a golf course as they combine relaxation with training ahead of the opening game in group H against Japan. Squad training will take place at the nearby Sviyaga Staidum before the team travels to Saransk on June 17 to prepare for the tournament opener two days later in the 44,000 capacity Mordovia Arena. The Colombian team was dealt a blow last Saturday with the news that defender Frank Fabra would be ruled out of action with a serious knee injury. Fabra has since been replaced by the experience Farid Diaz, who joined up with the squad on Sunday. Central defender Cristian Zapata had been an injury doubt but he has recovered and is expected to be available for selection ahead of the showdown with Japan, who Colombia beat 4-1 at the group stage of the 2014 tournament. “Thank God I recovered very well. I joined the team and now I’m looking to be in the best shape, ‘on fire’ for the first game,” said the AC Milan player ahead of the departure to Russia. Colombia will kick off the World Cup campaign against Japan in seven days time before facing Poland on June 24 with the final group game against Senegal scheduled four days later. Pekerman’s side will be hoping to at least emulate the performance from Brazil ’14 when an inspired James Rodriguez led them to the quarter-finals of the competition for the first time in the country’s history. This is “Los Cafeteros” sixth time to participate in the World Cup. They find themselves in the only group that does not contain a former champion.